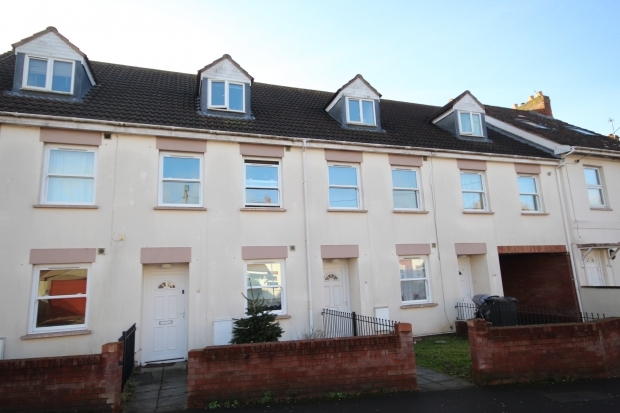 Redgate Street, Bridgwater TA6 5BG is a three double bedroom, three storey modern property built in a row of similar properties in a small cul-de-sac road on the eastern side of Bridgwater approximately ¾ mile of the town centre where all main amenities and facilities can be found. Local shops are within walking distance of the property together with the Train Station, and there is a bus stop close by. The property which is believed to have been built just over 10 years ago is constructed of cavity walling under a pitched, tiled, felted and insulated roof. The well planned and generous accommodation briefly comprises; Entrance Hall, Study/Bedroom 4, Sitting Room, Cloakroom, and Kitchen/Breakfast Room whilst to First Floor are 2 Double Bedrooms and Bathroom. At Second Floor is the Master Bedroom with En-Suite Shower Room. 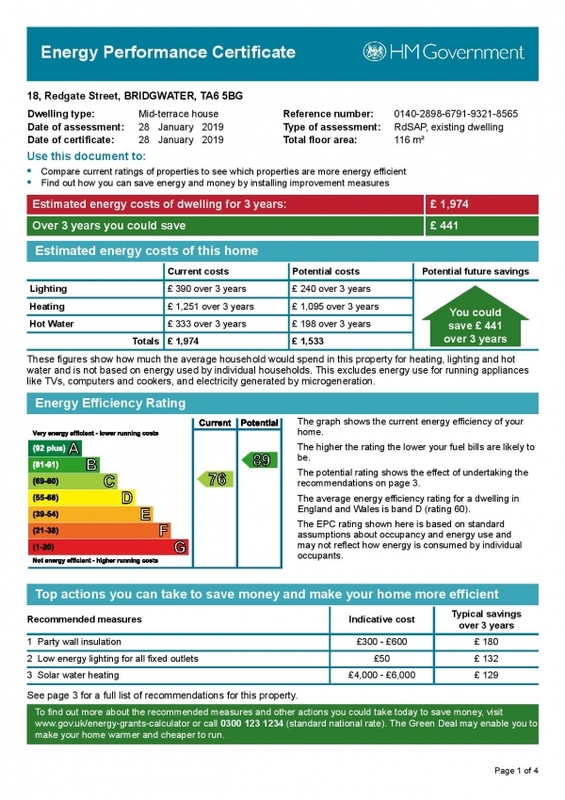 The property benefits from gas fired central heating, UPVC double glazed windows and doors and all floor coverings included in the asking price. There is a small front garden and rear garden with pedestrian gate leading to a Garage. The overall size of accommodation make this an ideal family or indeed investment buyers property and as such early viewing is advised to avoid disappointment. ENTRANCE HALL Stairs to first floor. Fitted carpet. Radiator. CLOAKROOM Pedestal wash hand basin, low level WC, radiator. Vinolay floor covering. STUDY/BEDROOM 4 11’7” x 8’5” Radiator. Carpet. SITTING ROOM 12’10” x 12’10” Understairs storage cupboard. TV aerial point. Fitted carpet. KITCHEN/BREAKFAST ROOM 22’9” x 7’8” 1¼ single drainer stainless steel sink unit with cupboards under. Deep roll top working surfaces to further walls with matching cupboards under. Complimentary wall cupboards over. Inset four ring gas hob with oven under and extractor over. Wall mounted Gloworm gas fired central heating boiler. Plumbing for washing machine. Spotlights inset to ceiling. Vinolay floor covering. UPVC double glazed door to outside. LANDING Stairs to second floor. Radiator. Carpet. BEDROOM 2 12’9” x 11’9” Radiator. Carpet. BEDROOM 3 12’11” x 8’11” Radiator. Carpet. BATHROOM Panel bath with shower mixer taps, shower curtain and rail. Pedestal wash hand basin. Low level WC. Vinolay floor covering. Radiator. BEDROOM 1 16’8” x 9’2” average. Radiator. Carpet. Built-in double door wardrobe/cupboard. EN-SUITE SHOWER ROOM Wide shower tray with mains shower over. Vanity unit with inset basin and cupboards. Low level WC. Radiator. OUTSIDE To the front of the property is a small enclosed garden with stone chippings. To the rear of the property is a south facing garden, paved patio area leading to lawn. Outside tap. Rear pedestrian gate leads to the GARAGE with up and over door.